If you're in the process of planning a Stag weekend, North Wales makes for a great destination. We've got excellent transport links (Bangor has a well connected train line), plenty of accomodation options, good night life, and to make the weekend exciting and memorable; plenty of activities! Big nights out are the cornerstone of a stag weekend, but to make it an excellent trip, you need to include some exciting adrenaline fuelled activities. If there's one activity that really suits stag groups, it has to be Canyoning. It's the most adventurous adrenaline charged activity we offer, it's a great laugh and it's well setup to facilitate large groups. The refreshing Welsh mountain water is sure to wash away any lurking hangover instantly! If you're thinking of making it a full day then the rock climbing and abseiling is a good challenge but if it's a steady start you'd rather, kayaking is easy going. We can, within reason, accomodate any size stag group but if you're in charge of planning then we strongly reccomend getting in touch well in advance. We are always booked out at weekends and we host a lot of big groups; school holidays are particularly busy. 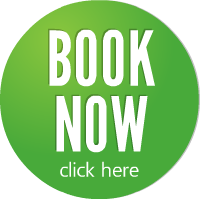 The best way to book is to send us an email and we can get everything organised!